All of us know we should do full body work out every day to have a healthy and attractive body. Hitting a gym for many of us is far from reality. 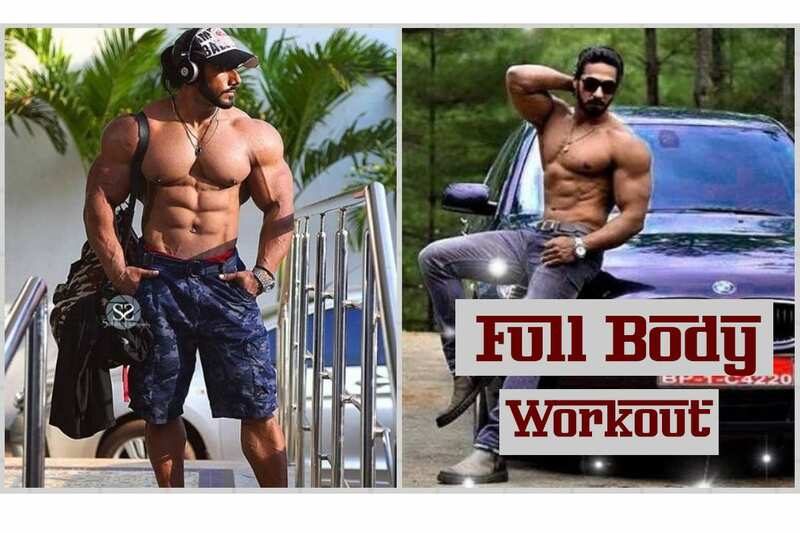 So here we have an awesome workout routine that you can do at home. Best part is this full body will not take you more than 5 minutes. If you are not a regular workout person, still no problem as this routine is a good full body workout for beginners too. This set of exercises work equally well for both men and women. The workout routine consists of 10 exercises each for 30 seconds. There is a resting time of 10 seconds after every exercise. Start doing pushups and continue for 30 seconds. 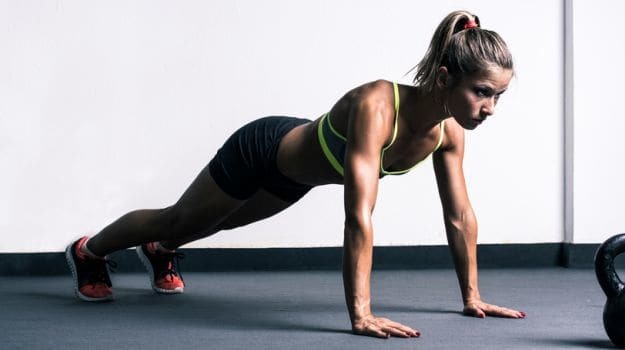 If you are a beginner you can start doing pushups by bending your legs and touching your knees to the yoga mat and slowly move your upper part of the body. This image shows pushup for beginners. After taking rest for 10 seconds, the next exercise which is to be done is back extension. Back extensions strengthen the lower back. Start with lying on your stomach and stretch your arms in the front. Now lift your legs and arms together and start moving your arms to and fro. As the arms move forward they stretch and as they come closer to body they bend at elbows and you look down. Continue for 30 seconds. After back extensions are done take a rest of 10 seconds. Our next is diamond pushup which is an advance version of normal pushups. First keep your hands in diamond shape on your mat, lower yourself to the ground and push back up. This targets your abs as well as chest. Beginners can bend their knees and let them touch the mat and then do pushups. You can take 10 second rests and get ready for squats. In your squats as you come down your arms can come in front and as you stand erect the arms can come down. If you are a beginner then keep your arms straight, hands in front and come in squat position. Continue for 30 seconds. Keep your hands on the waist and start moving your ankles up and down. If you are a beginner then you keep your arms open and do it. Continue for 30 seconds. Crunches are very effective and also important part of full body work out for beginners. Again after 10 seconds of rest the next exercise of the routine that we will do is burpees. Burpees are super versatile and are very effective exercise that can be done as full body workout every day. It suits all fitness level hence can be a very good full body workout for beginners. Do this for 30 seconds and then rest. You can repeat this exercise routine if you have more time or do multiple sets of exercises. Keep a resting time of 2 minutes in between the sets. This routine is very good for those who do not have access to gym or are too busy to go there.